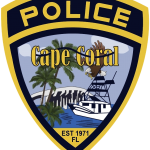 Cape Coral Police arrested a methamphetamine dealer after a traffic stop and Investigative Services Bureau detective investigation. On September 7, 2018, around 12:30 PM, a Patrol Officer stopped a vehicle for running a stop sign. The vehicle had two occupants; the driver, Brandi Erika Wolfert (W/F, DOB: 01/23/1976) and passenger, Kenneth Alexander Davis (W/M, DOB: 05/04/1976). K9 Arca alerted on the vehicle for controlled substances and a search was conducted. 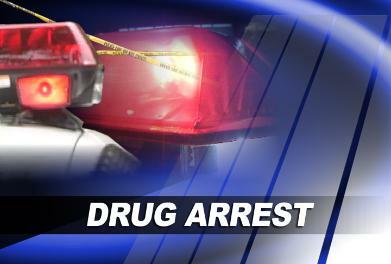 Located was a plastic bag containing heroin, cocaine, and Alprazolam pills. Also located were three hypodermic needles, a glass pipe, rolling papers, and methamphetamine. An investigation found that Davis had previously sold methamphetamine in the presence of Cape Coral Police detectives. Davis was charged with Sale of Methamphetamine, 2-counts of Possession of Methamphetamine, and Possession of Drug Paraphernalia. Wolfert was charged with Possession of Cocaine, Possession of Heroin, Possession of Alprazolam, Possession of Drug Paraphernalia, and Attaching a Registration License Plate Not Assigned.